AutoSens, a leading and influential global summit on autonomous driving, is returning to Detroit. Technical sessions and presentations from from Microsoft, Sony, General Motors, and MIT are planned. AutoSens takes aim at the biggest challenges facing autonomous driving by encouraging collaboration. Not long ago, self-driving cars were figments of science fiction; the ideal centerpiece of a quasi-Utopian yet technologically-advanced society in the far away future. 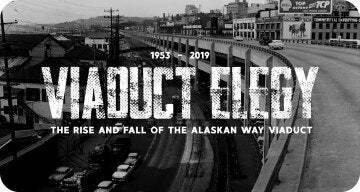 For over a century, we humans have piloted our own automobiles to theaters and bookstores alike to indulge our imaginations with these stories of a distant time. Yet, the reality is different. Self-driving cars? “Not in my lifetime,” one might say. But you’d be surprised what you might see in your lifetime. Autonomous cars are no longer science fiction but science fact. They are coming to our roads; it’s only a matter of time. However, the decisions we make now as an industry beforehand are vitally important. Because once they’re here, they’re here. And consumers are already skeptical of the technology. We either get it right now or we pay a substantial price in the long run. Indeed, there are many concerns, from the supply chain and infrastructure, to the legal and financial. Yet the biggest should be this: if our autonomous cars miscalculate, someone dies. When our goals, as an industry, include zero traffic fatalities, it’s not hard to see why right now matters. And one of the best ways to achieve such a remarkable goal? By working with and learning from each other. These are central themes of AutoSens, and why it remains the world’s most influential summit on autonomous driving. 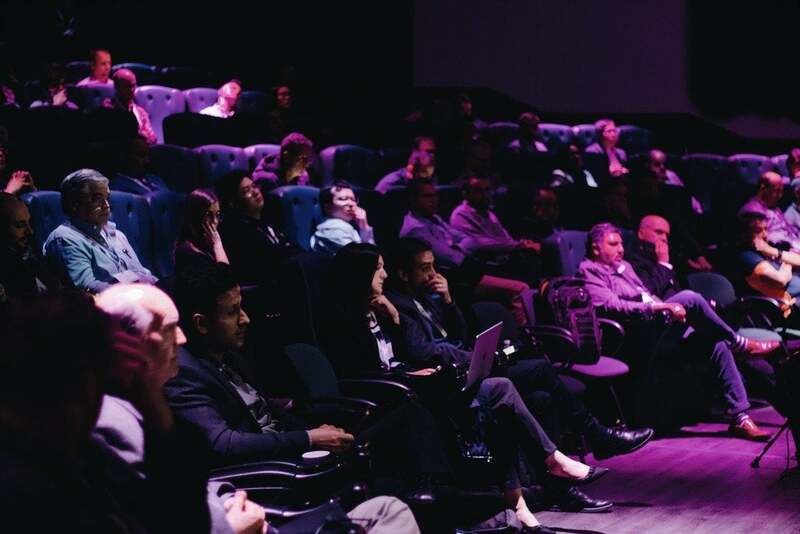 When AutoSens returns to Detroit on May 14th, the conference will explore the biggest challenges facing autonomous cars. 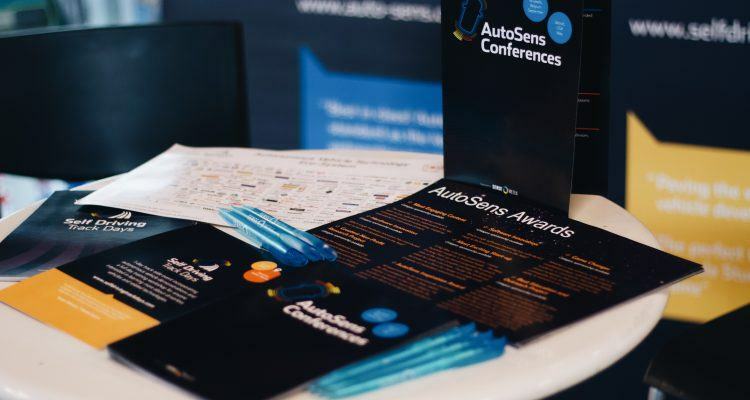 By combining cutting-edge academic research, industry R&D, and OEM insights, AutoSens is an invaluable resource for the engineering community. Organizers say returning to Detroit is essential when it comes to facilitating those types of outcomes. 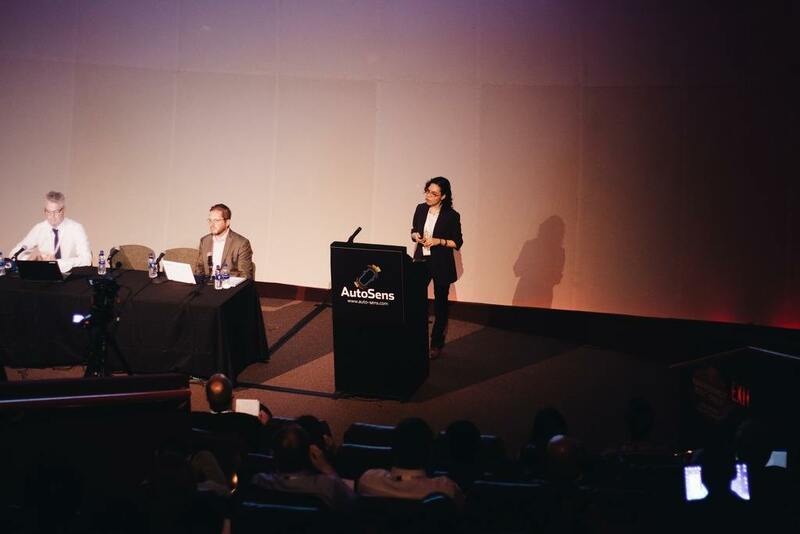 Cognitive scientist Dr. Mónica López-González, Co-Founder and Scientific & Artistic Director of La Petite Noiseuse Productions, speaking at AutoSens Detroit last year. Photo: Alex Hartman for Sense Media. The Michigan Science Center will host AutoSens Detroit for the second year with another robust agenda. Highlights include the opening plenary with presentations from the U.S. Highway Loss Data Institute on the impact of current ADAS technologies on road safety. Technical workshops include a session from Osram about infra-red sensing and a hands-on demonstration from 3M regarding material-sensor interaction systems. Microsoft will host a tutorial on the Robot Operating System, while DeepScale will present energy-efficient approaches to autonomous driving. 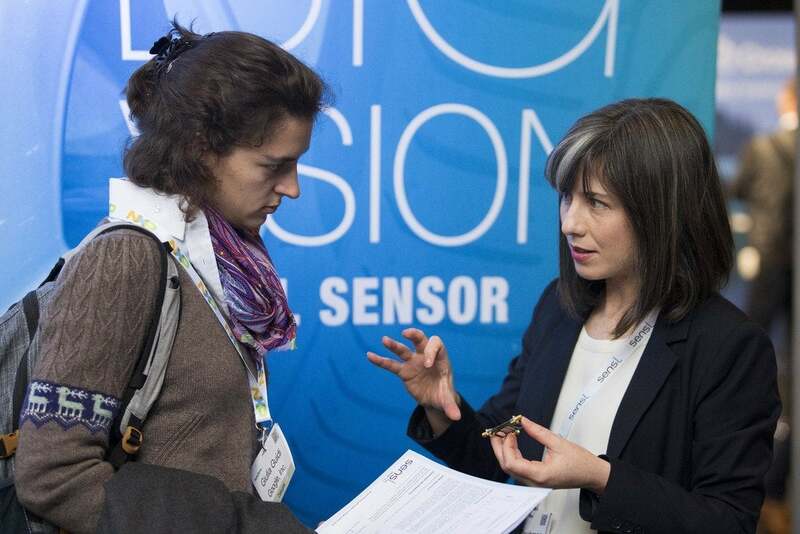 During a past AutoSens event in Brussels, Belgium, Senior Applications Engineer Edel Cashman (right) from SensL Technologies demonstrates how the company’s sensors can be utilized for LiDAR applications. Photo: Sense Media, © Bernal Revert/BR&U. Those curious to learn more about the inner-workings of an autonomous car will be in good company. For example, the Detroit Autonomous Vehicles Group is planning a hackathon for future engineers to learn the basics of self-driving cars. As is common at AutoSens, attendees can see how an autonomous car works, piece by piece. “We wanted to talk to the sensor companies because cars are getting a larger chunk of sensors now, especially for advanced driver assistance systems, autonomous applications, and for next-generation cockpits,” said Soshun Arai, Director of ADAS and Automated Driving Platform Strategy for the company. Arai and his team attended AutoSens Detroit last year to look more specifically at the individual components that affect their overall business. “We came to AutoSens because we wanted to understand the technology and trends of sensors,” he said. Attendees sit in during one of the many technical presentations that took place at AutoSens Detroit last year. The conference will return to the Michigan Science Center beginning on May 14th. Photo: Alex Hartman for Sense Media. Keynote for AutoSens Detroit this year is Ed Bernardon, VP of Strategic Automotive Initiatives at Siemens. Bernardon will examine how autonomous technology will impact the future of transportation. In preparation, he and his team interviewed experts working on 3D-printed autonomous shuttles, intelligent traffic systems, and even flying cars. In addition, technical presentations from General Motors, Changan, Aptiv, Daimler, NVIDIA, Valeo, Sony, and TomTom are planned. Academic sessions include those hosted by Wayne State University, University of South Carolina, and MIT. For conference organizers, sometimes it’s about what attendees won’t experience. “It’s a great community and we are very happy to be part of this ecosystem; it’s an excellent event,” added Paul Fleck, Founder of Dataspeed. 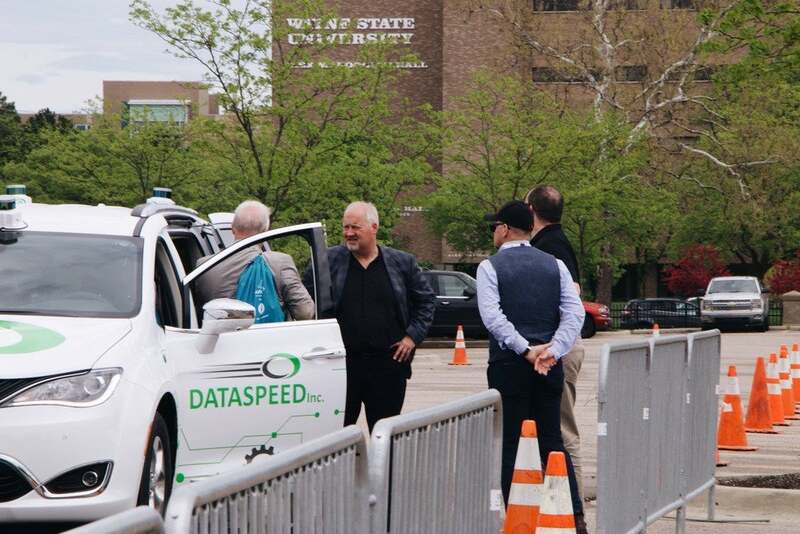 Dataspeed Founder Paul Fleck (black shirt, jacket, middle) talks with AutoSens Detroit attendees in May 2018. Dataspeed showcased the company’s ADAS Kit which helps engineers maximize their development of autonomous systems in the field. Fleck, an engineer himself, lost a loved one in an auto accident. The experience led him to develop technology he believes will save lives. Photo: Alex Hartman for Sense Media. AutoSens Detroit 2019 begins on Tuesday, May 14th at the Michigan Science Center and runs through the 16th. Organizers say they are happy to see so many returning exhibitors alongside plenty of new brands. A demonstration event is also planned for the 14th, where attendees can take laps in vehicles equipped with autonomous technology. Tickets, including discount packages for females in the engineering community, are available now. No Comments on "AutoSens Returning To Detroit: Conference Plays Vital Role In Autonomous Tech"